• Glyphosate – what’s the problem? Glyphosate – what’s the problem? Many of us are eating, drinking and breathing in this toxic herbicide every day and, in spite of mounting evidence of the harm it does to our health, our government and regulators are doing nothing about it. Some people know it as glyphosate, others as Roundup. It’s the world’s most widely used herbicide, It’s sprayed widely on farms (on both GM and non-GM crops) but is also used in municipal parks, and public spaces and on non-GMO crops which means that even in the UK, where we don’t yet grow GMOs we are increasingly finding residues of it in our food. In the EU, glyphosate is currently going through a relicensing process, and yesterday a review by the European Food Safety Authority (EFSA) chose to ignore recent findings of the carcinogenicity of glyphosate and instead gave it a (mostly) clean bill of health and pushed it a little closer to being given the green light for continued use throughout Europe. Given that you are probably eating, and if you live near a park or in a rural area are being exposed to it in other ways, how much do you know about glyphosate and its health effects? If you aren’t sure, read on. Glyphosate use has risen exponentially in countries where GMOs are planted. But even without GM crops, its use has become a problem in the UK. This is because it’s used in parks, schools and on roadsides. It’s also routinely sprayed on grain, oilseed and legume crops – thus wheat, maize, oats and barley but also rapeseed, sunflower seeds, chick peas, lentils, soybeans and many other food crops – as a desiccant (to dry them out) before harvest. Here’s a representative list of crops routinely desiccated with glyphosate. According to the Soil Association’s Not in Our Bread campaign, government figures show its use in UK farming has increased by a shocking 400% in the last 20 years. Nearly a third of UK cereal crops (over 1 million hectares) were sprayed with glyphosate in 2013. Glyphosate doesn’t break down immediately, and can follow the grain into our food supply. Tests by the Defra committee on Pesticide Residues in Food have found that as much as 30% of UK bread contained traces of glyphosate. And, of course, UK wheat is used in other foods including biscuits and pasta. When it breaks down it forms a chemical called aminomethylphosphonic acid (AMPA), which is considered even more toxic. Glyphosate bioaccumulates in organs and muscle tissue. Traces of glyphosate has been found widely in the urine of European citizens. Likewise traces of glyphosate have also been found in the breastmilk and urine of American mothers, as well as in their drinking water. The levels in breastmilk were worryingly high – around 1,600 times higher than what is allowable in European drinking water. Passed on to babies through breastmilk, or the water used to make formula, this could represent an unacceptable risk to infant health since glyphosate is a suspected hormone disrupter. Studies of animals fed GM foods and/or glyphosate, show worrying trends in terms of health impacts including damage to vital organs like the liver and kidneys, damage to gut tissues and gut flora, immune system disruption, reproductive abnormalities, and of course, tumours. This year the International Agency for Research on Cancer (IARC) declared glyphosate a category 2A ‘probable human carcinogen’. 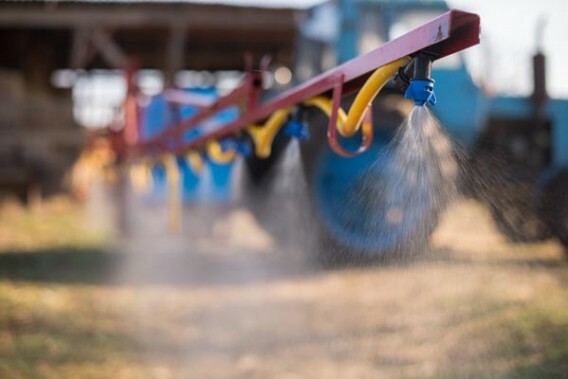 The Agency, a branch of the World Health Organization, came to its conclusion as part of a recent review of the cancer-causing potential of five pesticides (the others being the organophosphates tetrachlorvinphos, parathion, malathion and diazinon). This classification puts glyphosate in the same league as human papillomavirus type 68, inorganic lead compounds, anabolic steroids, working in a petroleum refining plant, and the dry cleaning fluid tetrachloroethylene (perchloroethylene, or ‘perc’). A recent international study found that glyphosate and two other widely-used herbicides, 2,4-D and dicamba, change the way bacteria responded to a number of antibiotics, including ampicillin, ciprofloxacin, and tetracycline which are widely used to treat a range of serious, and sometimes deadly, diseases. Although glyphosate is promoted as safe for humans and animals, links between glyphosate/Roundup and birth defects in laboratory animals have been known for decades – and the same effects have been reported in livestock animals whose feed is contaminated with Roundup. Recent studies suggest that this herbicide is also toxic to sperm. A 2014 study identified a link between glyphosate and what was thought to be an inexplicable rise in the number of outbreaks of a fatal chronic kidney disease of unknown origin (CKDu) affecting several poor farming regions around the world. Since then animal research has shown that doses of Roundup, well below the regulatory safety limits for glyphosate alone, are associated with fibrosis (scarring), necrosis (areas of dead tissue), phospholipidosis (disturbed fat metabolism) and damage to mitochondria (the centres of respiration in cells) in the liver and kidneys. Other research in experimental animals confirms that glyphosate-based herbicide can cause significant liver and kidney damage even at ultra-low doses. A recent study of human cells demonstrated that glyphosate in “low and environmentally relevant concentrations” has an estrogenic effect that triggers the growth of human breast cancer cells. Glyphosate has been shown to devastate the population of good bacteria in the gut of animals studied and if this is also true in humans could have an effect on how well we absorb nutrients from our food, how well we digest proteins and ultimately how easy it is to maintain a healthy weight. This may be one factor behind the results seen in recent studies into GMOs and weight gain. When glyphosate is sprayed on crops it’s as a formulation that includes many so-called ‘inactive’ ingredients or adjuvants. Some of these are added to make a pesticides formulation more effective, for instance by helping it to penetrate the plant more deeply. Studies show these ingredients are toxic in themselves and may make the formulation more toxic as well. In fact, recent data shows that the ‘inactive’ ingredients can make a glyphosate formulation 1000 times more toxic that glyphosate on its own. In a study of Ontario farming populations, exposure to glyphosate nearly doubled the risk of late miscarriages. In addition, the ethoxylated surfactant in the Roundup formulation doubled the toxic effect of the glyphosate. The surfactant, along with the glyphosate, ends up in our food and our animal feed. Which means it ends up in us too. Unfortunately, no study has yet shown how much of these ‘inactive’ ingredients we also consume when we eat conventionally grown produce and animal products. These are just the headlines of the health damage associated with glyphosate but they are serious enough that many GMO campaigns and campaigners feel they can’t fully discuss GMOs fully without also discussing pesticides. Walk into any Tesco, Sainsbury’s, Asda, Morrisons or any garden centre like B&Q or Homebase in the UK and glyphosate in many different packages and brand names on the garden care shelves, including Roundup, Resolva, Weedol, Bayer Garden Glyphosate Concentrate, Scotts Tumble-Weed and DeadFast. You won’t find warnings on the packaging or on the shelves. There is nothing to alert customers who do not keep abreast of these things that this product contains a powerful substance that is detrimental to human health. There is now a good argument that glyphosate should be banned – though it’s hard to see our regulators, under pressure from a powerful pesticides lobby, making this call. The bonus of doing that, however, is that we would also knock out the possibility of growing glyphosate-resistant GM crops here, saving us the agony experienced by farmers and consumers in the Americas who are awash with both these crops and the toxic herbicide that comes with them. If you care about your health, it’s worth thinking about. For more on the relicensing of glyphosate see the news article on our Beyond GM site: EU one step closer to relicensing glyphosate. This article is also downloadable as a tri-fold leaflet. Like what we're doing? Help us do more! Beyond false promises. Beyond failed technology. Beyond corporate control. Beyond environmental harm. Beyond gambling with our health. The time has come to move Beyond GM. We have now received your photo. Once our team have approved it, it will appear on the site. Once your photo is published you will receive another email with a link to your photo so you can share it on social media and encourage everyone you know to join in. Word of mouth is so important in helping us grow our amazing gallery of people calling for a GM Free UK. You have now signed the petition. Please let others know. Word of mouth is so important in helping us grow our amazing gallery of people calling for a GM Free UK. Sorry, your browser does not support our image upload tool. as well as email your photo to us if you would like to. These terms and conditions (the “Terms”) are the terms on which this website (the “Website”) is made available to you. By accessing this Website You (“You” / “Your”) agree to be bound by these Terms. 1.1 GM Free ME is an initiative of Beyond GM Ltd, a company registered in England and Wales under registration number 9078147. Our registered address is Beyond GM Ltd, c/o Russell New, The Courtyard, Shoreham Road, Upper Beeding, Steyning, West Sussex BN44 3TN. Our administrative office is: 20 Rockfel Road, Lambourn, Hungerford, Berks, RG17 8NG. (“We”/”Us”/”Our”). 1.2 If You have any questions, complaints or comments on this Website then You may contact Us at info [at] gmfreeme.org. 1.3 If You register to use the Website then You are responsible for maintaining the confidentiality of Your password and user name and are responsible for all activities that are carried out under them. We do not have the means to check the identities of people using the Website and will not be liable where Your password or user name is used by someone else. 2.1 We (or our partners or licensors) own all intellectual property rights in the Website and its contents including, without limitation, trademarks, logos, graphics, photographs, animations, videos and text. 2.2 Some materials on the Website are made freely available to download and use, subject to the conditions described in our Trademarks and Logos Statement. Such materials will be clearly marked. If you want to use any other materials or content from the Website, please contact us. Otherwise, You may not copy, reproduce, republish, download, post, broadcast, record, transmit, commercially exploit, edit, communicate to the public or distribute in any way the services, web pages or materials on the Website or the computer codes of elements comprising the Website other than for Your own personal use. Subject to the above, You may download insubstantial excerpts of this content to Your hard disk for the purpose of viewing it provided that no more than one copy of any information is made. 3.1 You may link to our home page, provided you do so in a way that is fair and legal and does not damage our reputation or take advantage of it, but you must not establish a link in such a way as to suggest any form of association, approval or endorsement on our part where none exists. 3.2 You must not establish a link from any website that is not owned by you. 3.3 Our site must not be framed on any other site, nor may you create a link to any part of our site other than the home page. We reserve the right to withdraw linking permission without notice. The website from which you are linking must not contain any inappropriate, offensive or illegal content or any other content likely to damage the reputation of our brand. 3.4 If you wish to make any use of material on our site other than that set out above, please address your request to info [at] beyond-gm.org. 3.5 We may provide links to other websites from time to time. These links are provided for Your ease of reference and convenience only and We do not control such third party websites and are not responsible for their contents. Our inclusion of links does not imply any endorsement of the material contained in such websites or any association with their operators. You acknowledge that We have no control over the contents of those sites or resources, that We will not be party to any transaction or contract with a third party that You may enter into, and We shall not be liable to You in respect of any loss or damage which You may suffer by using those websites. 4.1.5 access or attempt to access the accounts of other users or to penetrate or attempt to penetrate the Website security measures. 4.2 We reserve the right to suspend, restrict or terminate Your access to this Website at any time without notice at Our discretion if we have reasonable grounds to believe You have breached any of the restrictions above. Commentary and other materials posted on our site are not intended to amount to advice on which any reliance should be placed. We therefore disclaim all liability and responsibility arising from any reliance placed on such materials by any visitor to our site, or by anyone who may be informed of any of its contents. We do our best to always ensure that the information on our site is correct and accurate. Despite our best efforts the site may contain errors. We do not accept liability for loss or damage caused by inaccurate information. If you spot information which you think is incorrect you can tell us at webmaster [at] beyond-gm.org. 7.1 Nothing in these Terms shall exclude or limit Our liability for fraudulent misrepresentation or for death or personal injury resulting from Our negligence or the negligence by Us, Our employees or agents. 7.2 We do not accept any liability for damage to Your computer system or loss of data that results from Your use of the Website and We cannot guarantee that any files that You download are free from viruses, contamination or destructive features. 7.3 Whilst We use all reasonable endeavours to correct any errors or omissions as soon as practicable once they have been brought to Our attention, We do not promise that the information on the Website itself will be free from errors or omissions. We also do not promise that the Website will be available uninterrupted and in a fully operating condition. 7.4 All content and services on the Website are provided on an ‘as is’ and ‘as available’ basis. We do not make any representation or give any promise (whether express or implied) in respect of the Website or its content, including, without limitation, any advice given (on a personal or general basis) and statements made by partner organisations on or via the Website. Any decisions or action taken by You on the basis of information provided on or via the website are at Your sole discretion and risk and You should obtain individual professional advice where necessary. Nothing in this clause shall restrict Your statutory rights (including Your rights to receive a reasonable standard of service). 7.5 Our liability in tort, contract, negligence, pre-contract or other representations or otherwise arising out of or in connection with and/or these Terms shall be limited in aggregate to one thousand pounds. 7.6 If any provision of these Terms is found by a court or a regulator to be invalid or unenforceable the other provisions shall continue to apply. 7.7 In the event of any dispute between You and Us concerning these Terms, relevant United Kingdom law will apply. If You wish to take court proceedings against Us You must do so within the United Kingdom. 7.1 Our websites use Paypal to collect online donations. Paypal shares data with a range of third parties, a list of which is available here. Sharing this information with payment processors and credit reference and fraud agencies and group companies is necessary in order for Paypal to fulfil obligations to its customers. The regulatory agencies with which Paypal shares its data are carrying out their purpose in accordance with their regulatory objectives and requirements. 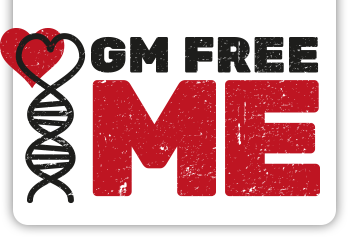 10.1 GM Free Me is an initiative of Beyond GM Ltd, a company registered in England and Wales under registration number 9078147. Our registered address is Beyond GM Ltd, c/o Russell New, The Courtyard, Shoreham Road, Upper Beeding, Steyning, West Sussex BN44 3TN. Our administrative office is: 20 Rockfel Road, Lambourn, Hungerford, Berks, RG17 8NG. We don’t publish your postcode, but we do use it to place your photo generally within your constituency region on our UK map. That means no specific address is published, no street details, just a community area defined by the parliamentary constituency you are in.